Once growing your nails the process does not stop there. Oh no, you've got to keep the nails strong, white and healthy. No point growing them if your not going to take care of them ; might as well cut them down again. I'm back using OPI Nail Envy ( especially as I've got a nail that needs aiding ) but after 7 days when I take off my week treatment I like to prep my nails for the next 7 days. How ? •First mix honey and lemon juice into the bowl. •Add the water and mix. •Soak your finger nails in the mixture for 5 minutes. 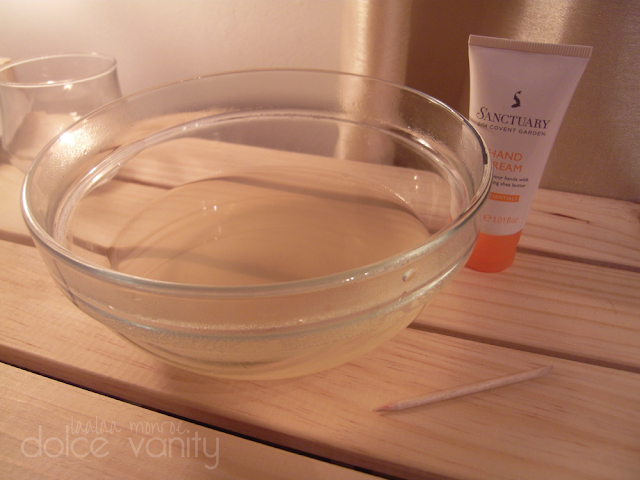 •Blot dry then gently push cuticles back using a orangewood cuticle stick. •Finish with your favorite lotion. I trim & file them and afterwards I apply my Nail Envy and continue for another 7 days. It takes a few sessions of this for your nail tips to appear white. 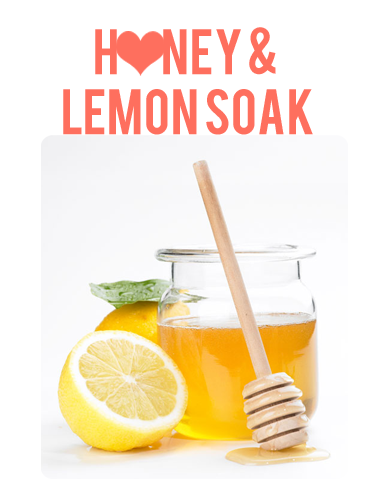 The lemon brightens the nail tips while the honey is great for your cuticles. I get a few remarks on my nails ( positive that is ) and I appreciate it so I'd like to be able to share with you how I get them the way that they are - make no mistakes I don't view them as perfect but they are good enough for me and I'm proud that I've managed to grow them and upkeep them. Wow... I'm so excited to try this out. Great tips... Thanks. I've been growing my nails too, deffo doing this! !